Malaysia has long been a hot bed for tourists. Its beautiful beaches, tropical climate, and wonderful hospitality make it one of the most sought after places to go for those looking for the dream vacation of a lifetime. One of the most favorite places for people to go to when visiting this amazing country are the Perhentian Islands. One look and you will see why it is that so many want to go there. Located just 10 miles off the coast of the northeastern portion of Malaysia, the Perhentian Islands find themselves in close proximity to Thailand as well, just 40 miles away. The name of this group of islands means “stopping point” and is related to the fact that this used to be a major staging area in the trade route between Malaysia and Bangkok. There are two main islands within the group, Pulau Perhentian Besar and Pulau Perhentian Kecil. Kecil is the island that attracts the most visitors primarily because the accommodations are much cheaper. Besar is much more friendly towards families with a host of activities designed for people of all ages. 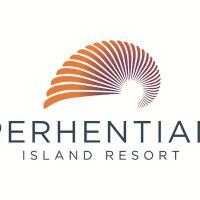 Nestled in Perhentian Island, The Barat Perhentian offers peaceful and comfortable accommodation with free WiFi access in the public areas. Located in Pulau Perhentian Besar, Cozy Resort offers spacious suites with views of the garden or sea. 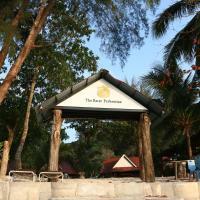 Bubu Resort is located on Perhentian Island, 21 km from Terengganu shore. Situated along Long Beach, the resort features a variety of water sports activities. Massage services are offered. Situated along the shores of Pantai Petani, Alunan Boutique Resort offers modern and tranquil accommodation featuring a restaurant and provides daily housekeeping service. 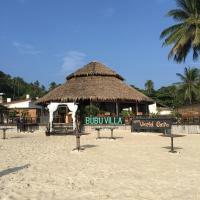 BuBu Villa offers a relaxing environment at Long Beach on Pulau Perhentian Kecil. It features chalets with free Wi-Fi and an outdoor restaurant along a white, sandy beach. Ombak Resort Perhentian Island is located in Gua Sai just a 10-minute stroll from the beautiful Long Beach. 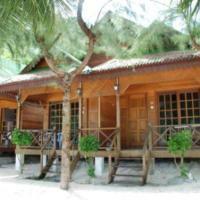 Located in Pulau Perhentian Besar, New Cocohut Chalet features a restaurant and a variety of recreational activities. Its suites have a private balcony offering views of the garden or sea. 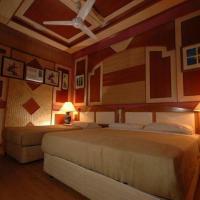 Set amidst a tropical jungle, Tunabay Island Resort provides air-conditioned rooms and chalets with a private balcony. Shari-la Island Resort is located on Pulau Perhentian Kecil, a 30-minute speedboat ride from Kuala Besut Jetty. It offers diving and snorkelling opportunities on-site. Suhaila Palace is located on Perhentian Besar Island, a 30-minute boat ride from Kuala Besut Jetty. It offers direct beach access and on-site snorkelling opportunities. Flora Bay 1 is located on Perhentian Island, known for its beautiful sandy beaches and dive spots. 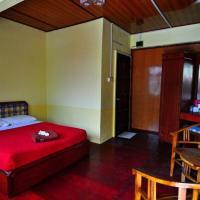 Located along the beautiful beach of Teluk Dalam, Flora Bay 2 offers cosy air-conditioned rooms with a private balcony. The property houses an on-site restaurant, and organises diving activities. Because of its location, the Perhentian Islands are susceptible to some harsh weather conditions that occur from October to March of each year. This is monsoon season, which can mean that the waters will become incredibly rough, the skies can be overcast and rainy quite often, which will mean that swimming will be quite dangerous. You also have to be concerned that during these times many of the shops and restaurants may be closed due to the severe weather. This means you want to look for other months of the year to visit, especially starting after March through September. One thing is for sure, there is a great deal to do when you visit these islands. The beaches are incredibly beautiful and the water is crystal clear, plus you have the beauty of a spectacular jungle area in the interior of the islands. Trails allow you to walk through these jungles, and you can see some of the most incredible views from the lighthouse towers. If you are a person who loves the water, you will find no better place. Snorkeling, scuba diving, and sea kayaking are just the tip of the iceberg of activities that you can do. Many just love sitting out on the beach and taking in the sun, plus you can see some of the most exotic and rare turtles on earth along the shores of these islands. If you want to learn how to dive or snorkel, there are instructors, they will teach you, and you can go on more exotic trips by joining it to her to go further out into the waters surrounding Malaysia. It doesn’t matter which island you stay on, there are incredible accommodations available to you. Fantastic restaurants, first-class hotels, and great tours are available for you and your family to be able to enjoy.